Echinacea (purple coneflower) is a native American herb that was once widely used by the Plains Indians and is now used by millions of consumers worldwide. 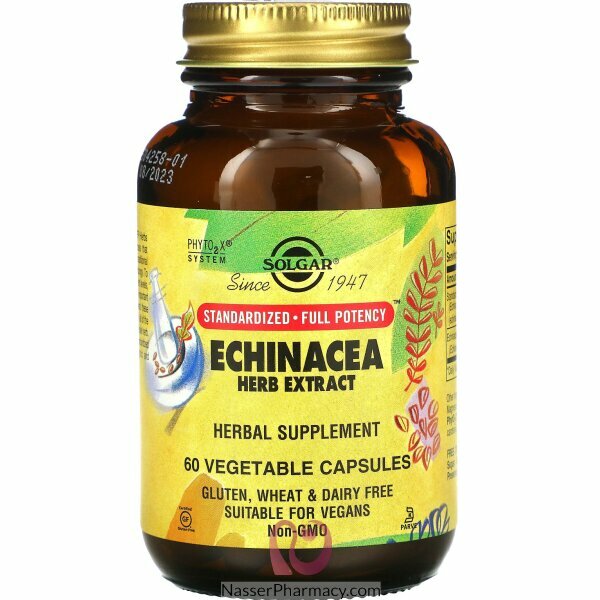 Our Premium Echinacea is standardized to a minimum of 4% Echinacosides, an active measurable component in Echinacea. We add synergistic Echinacea purpurea Root to complement the standardized Echinacea. As a dietary supplement, take 1 Vcap 2 to 3 times daily as needed. Cellulose (capsule) and magnesium stearate. Contains no milk, corn, wheat, gluten, yeast, sugar, salt, soy, preservatives or synthetics. Continuous high level consumption of this product for more than two weeks each month is not recommended. Not to be used in autoimmune conditions.